If you are looking for a Mediterranean location for your Jewish wedding, then look no further than the picturesque fishing village of Andratx, on Mallorca’s West coast. Last June Terri and Michael married in an absolutely stunning rustic Finca in the port town of Andratx. The bride’s mother, Karen (who has an apartment in Andratx), contacted us at Sunshine Weddings Spain and asked for our help in finding her daughter a wedding venue. 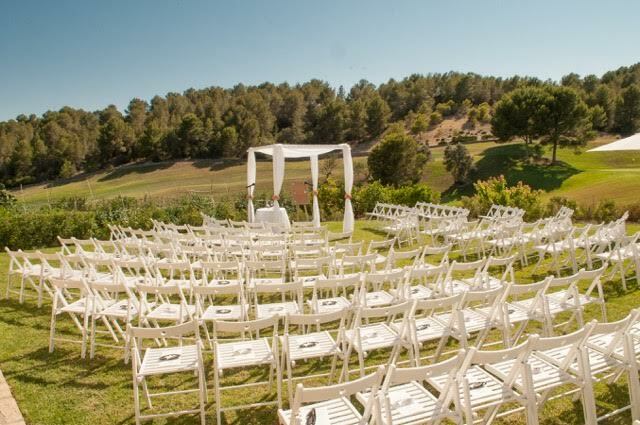 She really wanted it to be near Andratx port so that the wedding guests, who would be flying in from the U.S, Israel, Scotland and London, could all stay together in one area close to her apartment. Our bride Terri, originally from Scotland, found her true love Michael whilst studying in America. 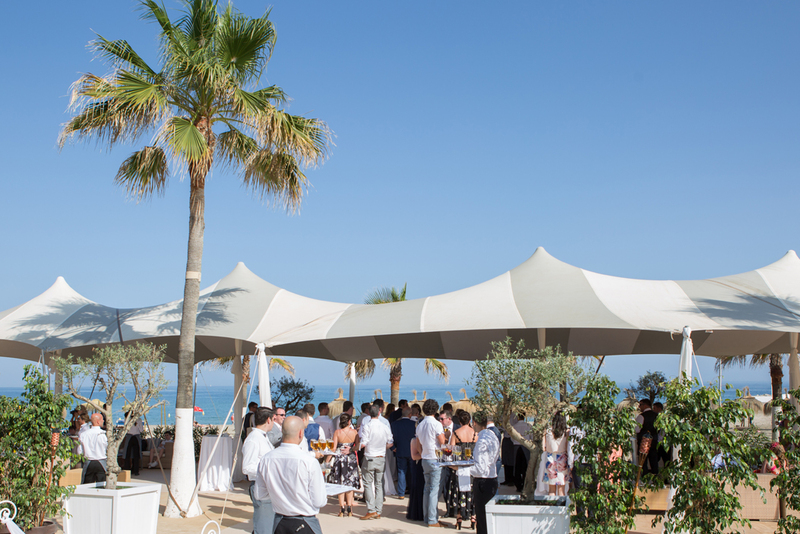 Because their loved ones were scattered across the globe, they loved the idea of uniting their families in Mallorca – and turning their wedding celebrations into a holiday for all. Because Karen (the bride’s mother) was on a break in Mallorca, we took her to a number of venues and introduced her to the only Finca near Andratx with spectacular views. Not only did it have an incredible vista, but guests would be able to party outside past midnight…something not every wedding venue in Spain can offer. Karen fell in love with the Finca and via Skype showed her daughter Terri and groom-to-be Michael the venue and its surroundings. They totally agreed with Karen’s choice and booked the venue immediately. The organizing began… Our wedding planner in Mallorca, Lisa, met Karen in London on a number of occasions. The bride Terri then flew over from the US and stopped off in London for final meetings before flying to Mallorca to embark on her busy build up to her big day. The Sunshine Weddings Spain team in Mallorca had organized a fantastic few days for Terri, including food tasting and hair and makeup trials, as well as meeting her photographer and making the final decisions regarding décor and flowers. After that, wedding planner Lisa and Terri met over Skype weekly, as well as various London-based meetings with the bride’s mother. The wedding invites were finally sent out and the guest numbers grew from 120 to a whopping 170 – which completely exceeded the family’s expectations. They were thrilled that so many people were willing to fly from across the globe to be part of Terri and Michael’s big day. 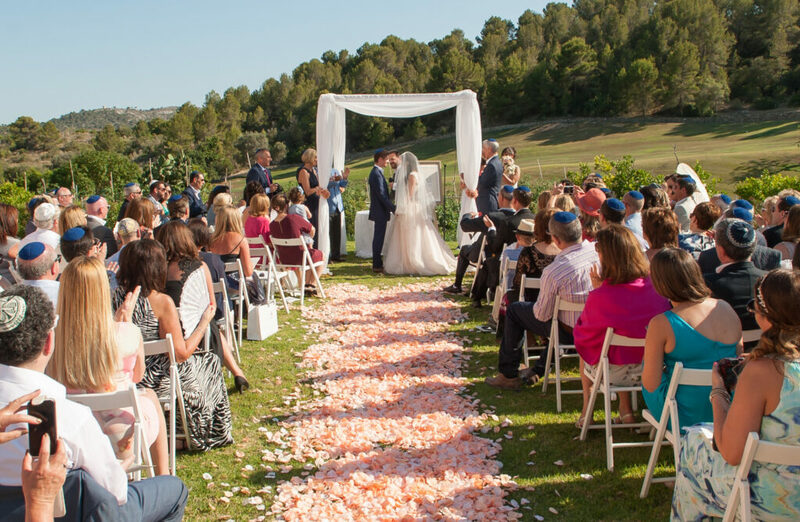 Find out in Part 2 why Andratx was the ideal venue for Terri and Michael’s Jewish wedding in Mallorca…and what sweet treats they had in store for their loved ones!